After a frantic weekend of shopping for many, which kicked off with Black Friday, hoards of people have taken the quest for a deal to extremes. Now as we enter Cyber Monday, there appears to be little let up with footage on the news of people taking it too far shoving and scrapping for the latest deals on electrical goods and must-have toys for their little ones. It is understandable in times of austerity that people want to save money and when it comes to Christmas gift shopping, there are many deals to be had (whilst maintaining good old British etiquette of course!). However, contact lenses should not fall in to this “pile em high, sell em cheap” philosophy. Last week Groupon found itself in hot water as it promoted a deal on contact lenses. This offer was swiftly removed as it contravenes legislation if the purchaser does not have a current prescription issued by a registered contact lens practitioner. 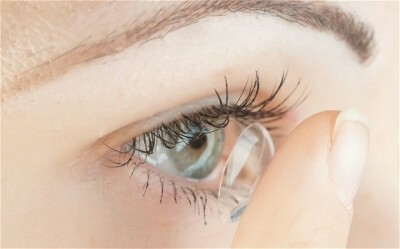 The legislation is there to protect the consumer and try to stop people purchasing contact lenses without proper advice. They are a medical product after all and should be treated as such. Ensuring you have the right lenses for your eyes is essential, as well as receiving the correct advice on how to look after them. If contact lenses become a commodity like TVs, then the number of cases of permanent eye damage caused by improper use, will rise.